I hope that by sharing the stories of loss and hope, that we ease the burden of those who are suffering, give hope to those who are grieving, and remember that we are all connected to one another by our shared experiences of love and loss. 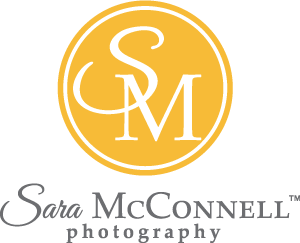 Before I started Sara McConnell Photography I worked full time as a grief and trauma counsellor. As families navigated their lives after the death of a loved one I was continually amazed by the power of the human spirit, the compassion of others, incredible resilience, and how their loved ones lived on through the stories people told of their lives and shared experiences. At the same time I was also overcome by the isolation of grief and how our evolving families and communities have taken away the built-in support systems we relied on for generations when faced with the death of a loved one. When I started working as a family photographer I didn’t anticipate that grief and trauma would continue to weave itself throughout my work. The more families I met and photographed, the more stories I heard about their struggles to become parents. The pregnancies that were lost. The babies they held only for short time. Although I’m no longer a practicing counsellor, I wanted to find a way to honour families love and loss with my photos and writing. The Extraordinary Love Sessions are intended to share the stories of families who have experienced infertility, miscarriage, stillbirth and infant loss in the pursuit of awareness, openness, connection and healing. Extraordinary Love Sessions are intended to celebrate the arrival of a much-anticipated baby with a commemorative photography session. They are also meant to honour the grief, loss, and heartache that are woven throughout the experience of pregnancy after loss. Families who participate in an Extraordinary Love Session will receive from me a complimentary newborn session (30–45 minutes long) for their family and baby within the first 4 weeks after birth. Each family will receive 10 high resolution edited, retouched, and artistically enhanced digital images that I will choose from their session as well as 10 5x7 gift prints of the final digital images. The session is a gift to those who have experienced loss and there is no charge for the session, digital files, or prints. Extraordinary Love Sessions will take place in my Orleans studio on weekdays. Families who participate will need to be comfortable sharing their photographs from their session as well as their story in an interview format on my website in an effort to raise awareness and also to elicit connection and healing within our community. Through the sharing of stories and photographs, we can help create a dialogue about grief and loss and at the same time help connect Ottawa families with community resources related to infertility and pregnancy and infant loss. Thank you for getting in touch: I look forward to hearing how I can help tell your family's story through the Extraordinary Love project. Please tell me more about yourself and your family's journey to this point. How have you been affected by miscarriage, infertility, stillbirth, and/or infant loss? How many weeks pregnant are you? Or if your baby has already been born, on what date was your baby born? For what reasons are you interested in participating in the Extraordinary Love project? Part of the Extraordinary love project involves the sharing of stories in an effort to open a dialogue in our community and connect families with each other and with available resources. Are you comfortable sharing your names, photographs, and stories about your journey on my website? Please check any that apply.